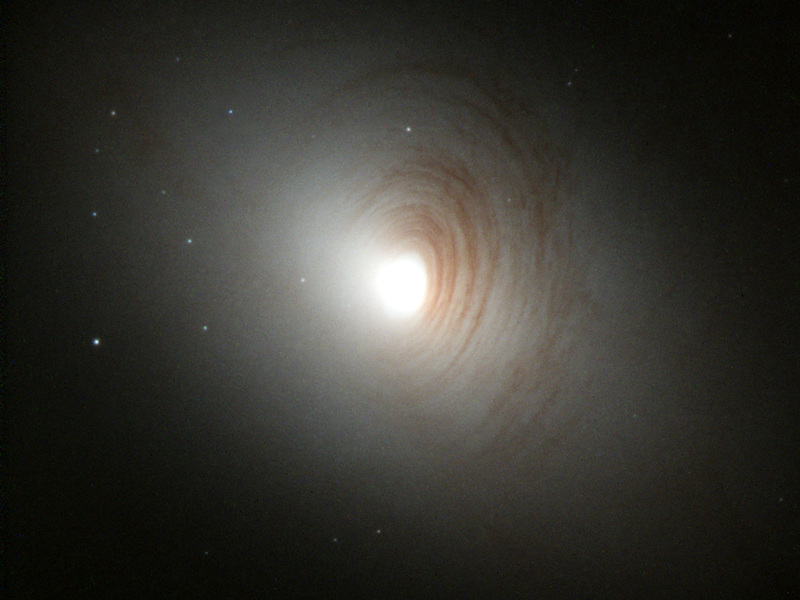 Tightly wound, almost concentric, arms of dark dust encircle the bright nucleus of the otherwise nondescript galaxy, NGC 2787, in this image created by the Hubble Heritage team. Astronomer Marcella Carollo (Swiss Federal Institute of Technology, Zurich) and collaborators used Hubble's Wide Field Planetary Camera 2 to collect the data in January 1999. Position (Dec): 69° 12' 12.11"